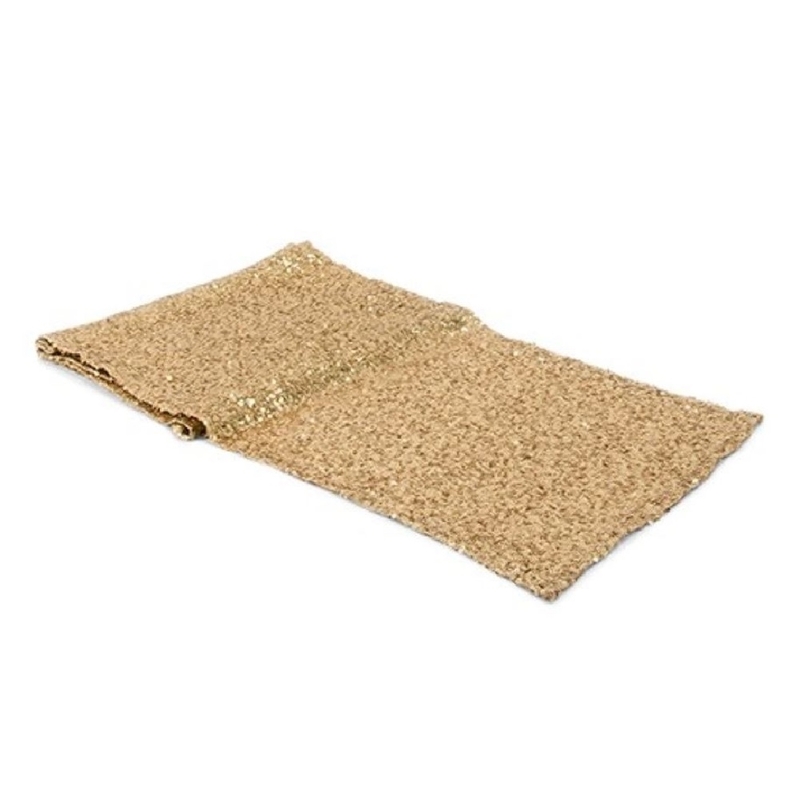 This gold table runner is detailed with shimmery sequin beads that make any table seem like it is ready for royalty. Gold is a color that is integrated into a lot of wedding schemes because of the class and glamour it provides. The sequined texture of the table runner creates a shimmer that brightens up the venue. Glam up the tables for a sparkly feast.